"Microbiology and Emerging Infectious Diseases" seminar series is sponsored by the Department of Medical Microbiology. Topics focus on microbial pathogenesis and emerging infectious agents (http://www.ucdmc.ucdavis.edu/medmicro/seminars.html). “Joint Seminars in Molecular Biology" is sponsored by the College of Biological Sciences. Seminars take a molecular approach to a broad range of biological problems (http://bioscinet.ucdavis.edu/Events/Events/JointSeminars). "Microbiology Work in Progress" is sponsored by the Section of Microbiology. Seminars provide an opportunity for graduate students, postdoctoral students, and occasional faculty or visiting speakers to provide an update on their research (http://microbiology.ucdavis.edu/Seminars.html). “MicroCHATS” is a weekly seminar series hosted by the MGSA student group. Guest speakers include current students and alumni. For more information on MGSA, please contact the MGG Program Coordinator. 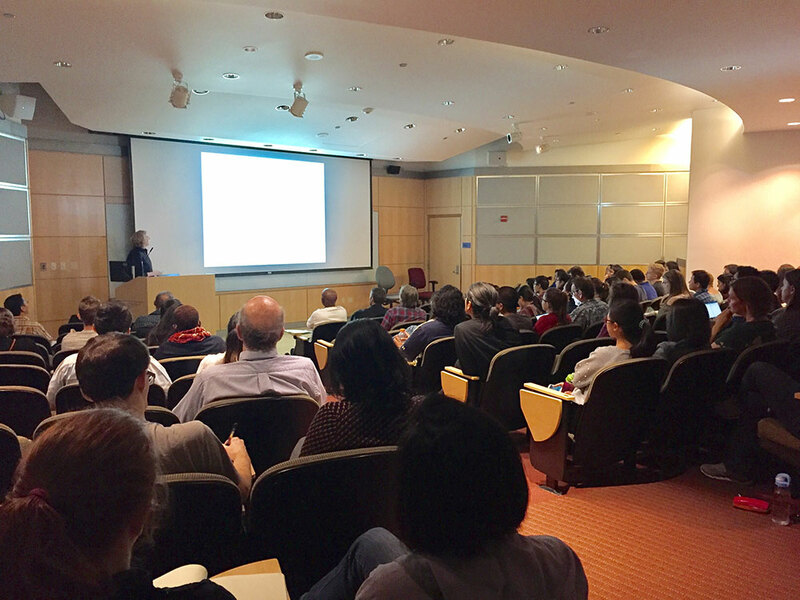 Dr. Nicole Baumgarth’s presentation on “B cells in infections: Still some tricks up their sleeves” (Photo by Jessica W. Toan).